Wilbert Funeral Service in Chicago (corporate HQ) has awarded Quality Vaults and Monuments with "Ultimate Service Provider" for the third year in a row. There are four service levels: Minimum Service, Basic Service, Premium Service, and Ultimate Service Provider. To be classified as an Ultimate Service Provider, one must receive at least 75 points out of 88 points; a higher score is attainable when bonus points are earned for exceptional achievements. Points are collected by category, including tents, chairs, greens, Wilbert Way, lowering device, vaults, employees, and trucks and delivery. Wilbert of Greenville surpassed the 75 points needed to obtain Ultimate Service Provider with a score of 98 points. Although we are proud of this accomplishment internally, it pleases us most that local families are the recipients of this service. 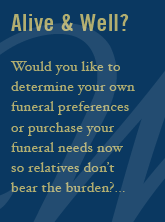 Wilbert offers two types of burial set ups, Wilbert Way (WW) and Above Ground with Lowering Device (AL). Both set ups consists of an above ground seal and a lowering device, also known as The Wilbert Way Lowering Device. The difference in the two set ups is in the placement of the vault and the vault cover during the funeral service. For those who are interested, grass and chairs are available as an additional service to families who would like a graveside service or an extra amenity at the burial site. Six pieces of grass and eighteen folding chairs will typically cover a gravesite area and will be neatly arranged under the tents. Wilbert Burial Vault manages the delivery, setup, and removal of the grass and chairs. Two 16x14 tents are set by Quality Vaults and Monuments at the gravesite for funeral services. The tents cover the burial area and provide a comfortable place for families to gather during the funeral. At the end of the funeral, the family tent is removed. The tent over the burial plot typically remains for 4 days. Nameplates give burial vaults a personalized touch. They are a standard feature of Continental vaults and above. For an extra charge, nameplates can be added to the Salute and Monticello burial vaults. The nameplate includes the name of the deceased and the birth and death dates. Quality Vaults and Monuments provides grave digging & disinterment services. Wilbert is fully equipped with "track hoe" tractors which significantly reduce the amount of time needed to prepare a grave. The grave digging service includes the opening and closing of the grave. Wilbert also provides a hand-dug grave service at a premium. If it becomes necessary to move a vault from one location to another, Wilbert can assist with these services. We handle everything from locating the vault to relocating the vault to a new location. Vault Transfer is a service available between Wilbert franchises and dealers. Wilbert Burial Vault uses the vault transfer service when a burial request has been made outside of the franchise territory. The location of the cemetery is needed to determine the appropriate Wilbert franchise or dealer. Since the services offered by each Wilbert franchise vary, the franchises work together on a per burial basis to determine the services, such as tents, grass, chairs, and grave digging, that each franchise will provide for the burial.